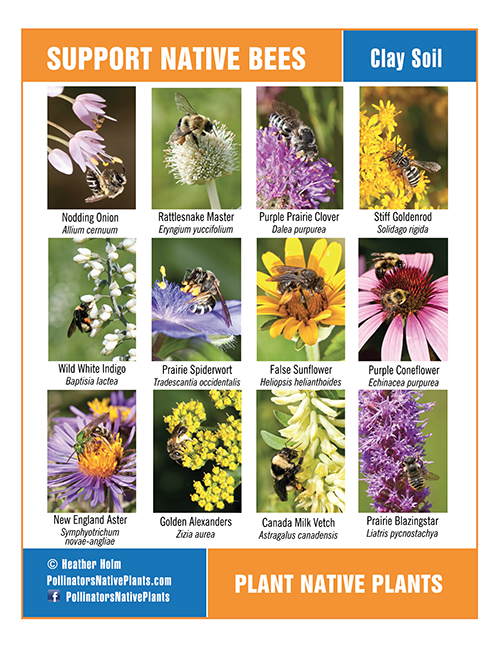 A native plant synopsis of our recent road trip to central Ontario from Minneapolis through northern Wisconsin & Upper Michigan. The central Ontario landscape is made up of huge granite rock outcroppings known as the 'Canadian Shield' where glaciers receded leaving vast areas of exposed bedrock. 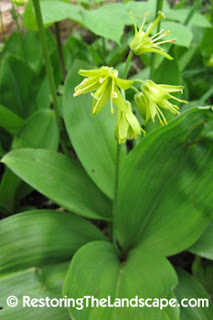 We stopped at the French River area and it was great to see Bluebead Lily (Clintonia borealis) in flower, before this I had only seen it with its blue berry later in the summer. 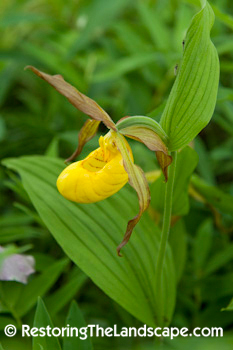 The shiny green basal leaves look similar to an orchid species. 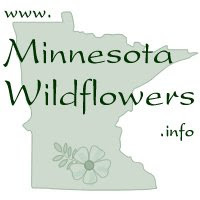 A native of shady, medium moisture woods. 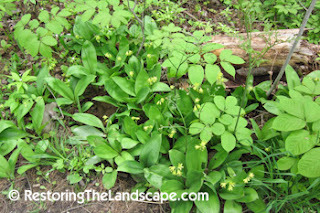 Small Striped Maples (Acer spicatum) were flowering along the woodland openings. This is an extremely versatile small tree, tolerating many different soil types and moisture levels. Its mature height is about 15 feet, and it can tolerate a quite a bit of shade in an understory. The mature bark has vertical stripes. 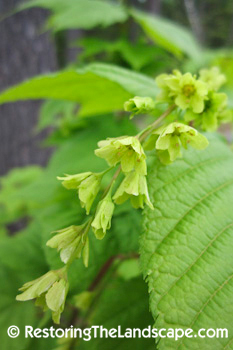 Striped Maple flowers are beautiful, cascading downwards like rain chains. 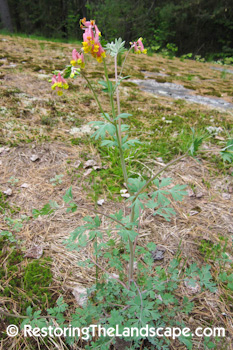 The light yellow-green flowers were in full bloom at the end of May. A typical plant combination on the open sunny bedrock. 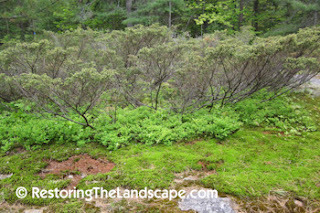 The Common Juniper (Juniperus communis) which is the basis for many spreading Juniper horticultural varieties. Also more Low-Bush Blueberries (Vaccinium angustifolium) and several moss species. A great woodland combination of Bluebead Lilies, Wild Sarsparilla (Aralis nudicaulis), American Starflower (Trientalis borealis), Canada May Flower (Maianthemum canadense), Wood sedges and Bracken Fern (Pteridium aquilinum). 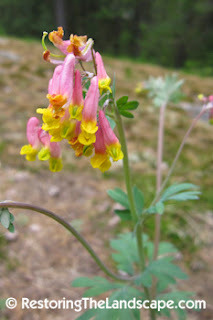 In the extremely shallow soils was Pale Corydalis (Corydalis sempervirens), this native annual (sometimes biennial) plant was in full bloom. 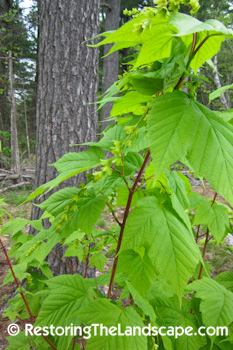 With softly lobed blue-gray leaves this native reaches about 40 inches in height (in good soils). The tubular flowers are medium pink with yellow tips and hang downwards in clusters. 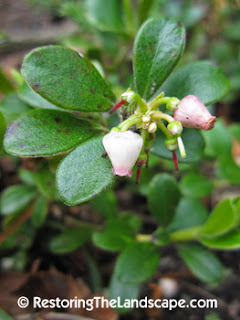 Further south, Bearberry (Arctostaphylos uva-ursi) was flowering. 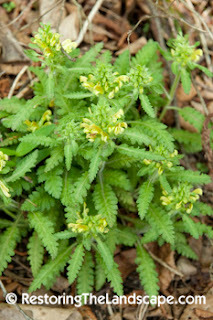 This evergreen woody native makes a great groundcover in dry acidic soils. 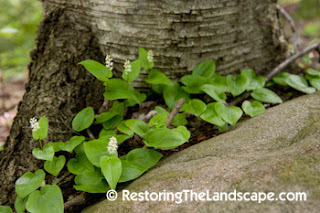 More Canada May Flower (Maianthemum canadense), growing between a rock and Paper Birch (Betula papyrifera). The Large Yellow Lady's Slippers were in full bloom too further south, as featured in the Native Plant of the Week post last week. Also Wood Betony (Pedicularis canadensis), one of my favorites in this area. 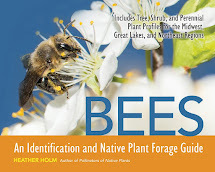 Read the post about this native. 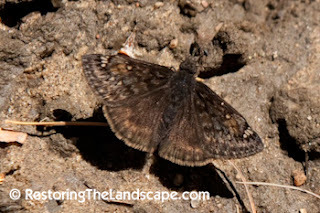 Last but not least, a new butterfly sighting, Juvenal's Duskywing (Erynnis juvenalis) seen puddling in a muddy pot-hole in the woods. This butterfly's major foodplant is Oak trees.